This entry was posted in Press Releases and tagged Books, Social Media Marketing on December 14, 2016 by Jason McDonald. This entry was posted in Press Releases and tagged Books, SEO Books on December 5, 2015 by Jason McDonald. 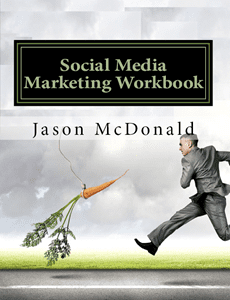 This entry was posted in Press Releases and tagged Books, Social Media Marketing on November 29, 2015 by Jason McDonald. This entry was posted in Blog, Press Releases and tagged Books, Jason McDonald, Social Media Marketing on November 16, 2015 by Jason McDonald.